Located at the heart of the Costa Brava. Begur is 133 km from Barcelona. Take the AP-7 motorway towards Girona/France, and exit at junction 9A-9B (Vidreres/Lloret de Mar). Head towards Sant Feliu de Guíxols and Platja d’Aro on the C-35, and then continue towards Palamós (C-31) before taking the GI-653 road to Begur.  Begur is 78 km from the French border. Take the N-II highway towards Figueres and then continue along the C-31 towards Torroella de Montgrí, then follow signs for Pals, and lastly Begur. Begur is 52 km from Girona. The closest train station to Begur is in Flaçà, 31 km away. Timetables and prices can be consulted on the website: www.renfe.com. From Flaçà you can take a bus to Palafrugell and then change for Begur, as there is no direct service. Barcelona – El Prat (BCN) airport is 145 km from Begur. Take the C-31 highway out of the airport, and then join the Ronda de Dalt ring road towards Barcelona/Tarragona/Lleida/Girona. Take the AP-7 motorway towards Girona/France, and exit at junction 9A-9B (Vidreres/Lloret de Mar). Head towards Sant Feliu de Guíxols and Platja d’Aro on the C-35, and then continue towards Palamós (C-31) before taking the GI-653 road to Begur. Girona – Costa Brava (GRO) Airport is 58 km from Begur. Take the C-25 towards the C-65, and then continue along the C-31 towards Sant Feliu de Guíxols as far as the roundabout at the end of the highway, where you should take the first exit (GI-653) to Begur.  The Sarfa (Sarbus Group) company runs services from Begur to other surrounding towns and nearby cities. Timetables and prices can be consulted on the website: www.sarfa.com / Tel. 972 610 006, bought tickets can also be purchased at the Begur Tourist Office.